In Forbes’ 25th anniversary issue of its world billionaire rankings, Carlos Slim Helú Retains No. 1 spot for third year in a row. With a net worth of $69 billion, the telecom magnate from Mexico is the world’s richest person for the third year in a row. Bill Gates retains the #2 spot with a net worth of $61 billion, followed by Warren Buffett (#3) with a net worth of $44 billion and Europe’s richest person, Bernard Arnault (#4) with $41 billion. Amancio Ortega (#5) of Spain joins the Top 5 for the first time, with a net worth of $37.5 billion, an increase in fortune of $6.5 billion from 2011. In a year of churn and burn, 128 billionaires are new to the list (compared with 214 newcomers in 2011), while 117 dropped off. A record 1,226 billionaires (up from 1,210 in 2011) made the list, with an average net worth of $3.7 billion (unchanged from 2011). 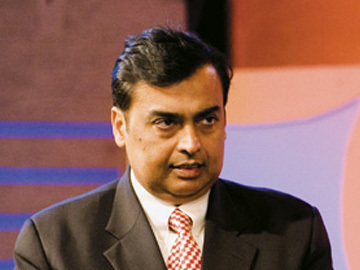 Reliance Industries Limited’s chairman Mukesh Ambani (#19) with a net worth of $22.3 billion is the world's richest Indian in the Forbes list of billionaires that features 48 Indians. Despite losing $4.7 billion in the past year, he is the 19th richest person on the planet. India's top ten included Savitri Jindal & family (world rank #80), Sunil Mittal & family (#113), Kumar Birla (#116) Anil Ambani (#118) Dilip Shanghvi (#124) Shashi & Ravi Ruia (#133) and Kushal Pal Singh (#153). Added together, the total net worth for this year’s billionaires is $4.6 trillion, up $100 billion from $4.5 trillion last year. Billionaires came from 58 countries, including new addition Morocco, which had three people make it this year. The U.S. leads the list, with 425 billionaires, followed by Asia-Pacific (315), Europe (310), The Americas (90) and the Middle East & Africa (86). At 41, Spanx founder and newcomer Sara Blakely (#1,153) is the youngest self-made woman in the billionaires club, with a net worth of $1 billion. A total 104 women made the list. Christy Walton (#11) is still the richest woman in the world – for the seventh year in a row – with a net worth of $25.3 billion. Other notable newcomers: Under Armour CEO/Founder Kevin Plank (#1075), and Michael Kors’ financial backers Silas Chou (# 634) and Lawrence Stroll (#719). Mexico’s Ricardo Salinas Pliego (# 37) is the world’s biggest gainer in dollar terms, adding $9.2 billion to his net worth. Another gainer: New York Mayor Michael Bloomberg (#20), who moves up from his No. 30 spot last year with a net worth of $22 billion (an increase of $3.9 billion from 2011). (Harvey Norman discount retail stores), Jim Balsillie (Research in Motion, maker of BlackBerry) and Apple co-founder and CEO Steve Jobs, who passed away in October 2011. In our 2012 “Hall Of Fame” feature (p. 60), meet the 24 people from seven countries who have been on Forbes’ lists as billionaires for each of the past 26 years. Among them, Li Ka-shing (# 9), Liliane Bettencourt (#15), Leslie Wexner (#248) and David Rockefeller (#491). In a rare interview, Li Ka-shing, who recently made brilliant tech investments in companies including Facebook and Spotify, reveals his new strategy.